Our quality timber garages are strongly constructed with seasoned top grade timbers, manufactured on exceptional extra strong framework throughout. 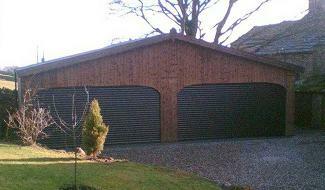 Garages can be manufactured to any size with either timber hinged double doors or up and over garage doors. 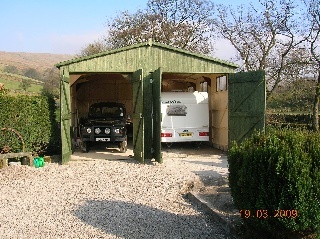 Various heights are available to accomodate your vehicle, whether it be a car, van, motorhome, caravan or tractor. Many other sizes available, please call our Office now on 01833 650274 for price list and full brochure or send an email with your requirements and we will be only to pleased to forward a quotation for same. 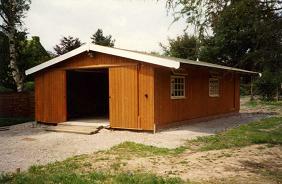 You are more than welcome to visit our factory here in Cotherstone, Near Barnard Castle where we have over 65 timber buildings on display including several timber garages.